I promised lots of giveaways for tonight and here we go! Every hour I will be giving away a prize. 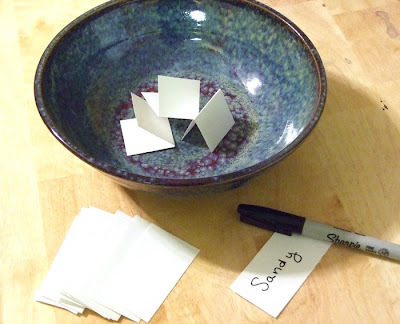 To be included in the drawing, send me an email or comment in my blog and I will put your name on a piece of paper and stick it in the bowl. I also have a grand prize drawing for a 50.00 retail gift certificate. Anyone who places an order tonight during the open house will be entered to win. I will announce this winner tomorrow on my blog. The first door prize for tonight is these four bead mixes. You get the four colors you see here. 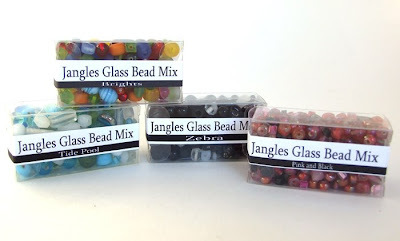 They are great for mixing in with my Jangles beads. You can see them here in my website. Each box contains abut 36 inches of beads. Get your names in now; I will be announcing the winner at 7:00.